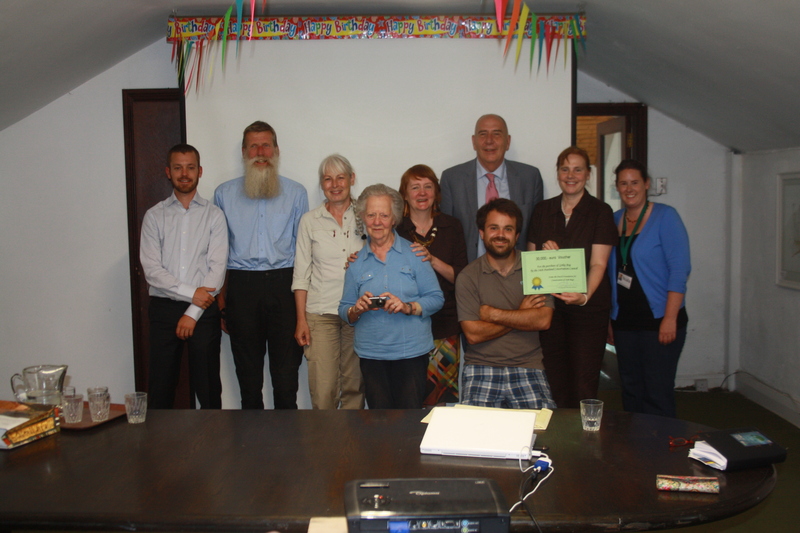 On the 28th July 2013, members of the Dutch Foundation for Conservation of Irish Bogs joined IPCC at the Bog of Allen Nature Centre to celebrate their jubilee year. This special occasion saw a number of visitors arrive at the Bog of Allen from outside the country as part of The Gathering Ireland 2013 event promoted by the IPCC. 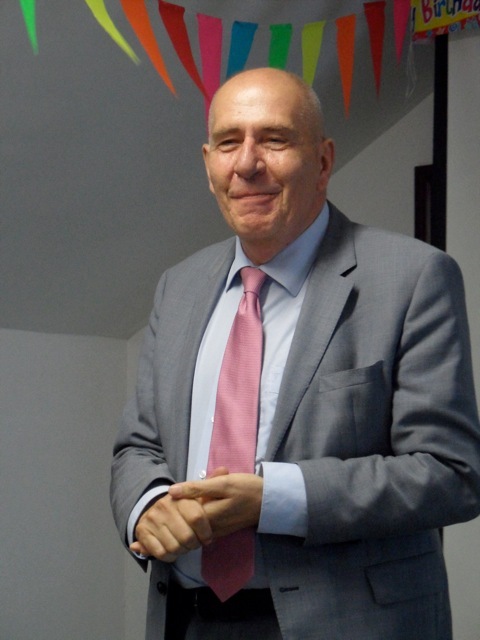 The day’s events consisted of mini-symposium where a crowd of up to 200 heard Professor Matthijs Schouten, the founder of the Dutch Foundation share his memories of a campaign that saw him and his team raise sufficient funding to purchase three bogs in Ireland. This was followed by a talk from Mr Jim Ryan, of the National Parks and Wildlife Service about the current programme to conserve Irish raised bogs. The final presentation in the symposium was about Girley Bog in Co. Meath, and was delivered by Dr Catherine O’Connell, Chief Executive of the IPCC. Following the talks, Professor Schouten presented a cheque to the IPCC for €30,000 which is to be put towards the purchase of Girley Bog in Co. Meath. In addition Prof Schouten presented Mr Jim Ryan with a special award from the Dutch Foundation in recognition of the work he has undertaken to save Irish bogs which are of unique importance to the planet. 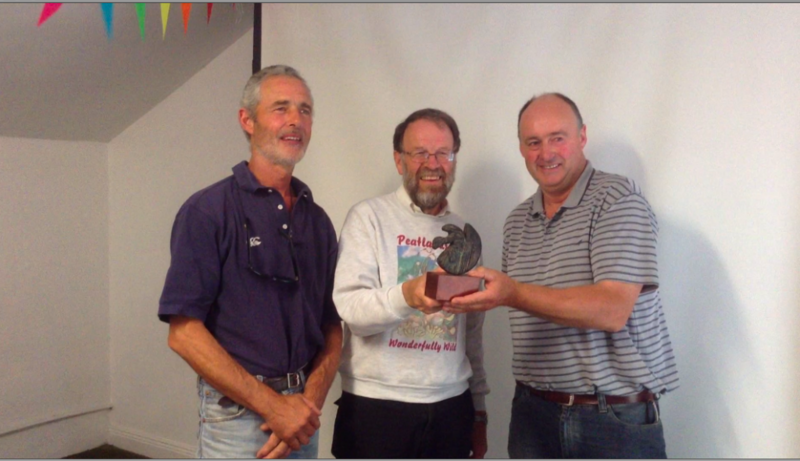 Photograph from the left of Patrick Headon (Sharavogue Bog, Co. Offaly), Jim Ryan (National Parks and Wildlife Service) and Martin Middleton (Fenor Bog, Co. Waterford) all of whom have received the special award of merit from the Dutch Foundation for Conservation of Irish Bogs for their work in conserving Irish peatlands. Members of the Dutch Foundation for Irish Bogs present Irish Peatland Conservation Council with a cheque for €30000 which is to be used to help with the purchase of part of Girley Bog in Co. Meath. (Back row from the left: Bjorn Robroek, Boudewijn Beltman, Sophie Hochstenbach, Moniek Nooren, Matthijs Schouten, Catherine O’Connell, Nuala Madigan. Front row from left: Willy van Waateringe and Tadhg O Corcora). 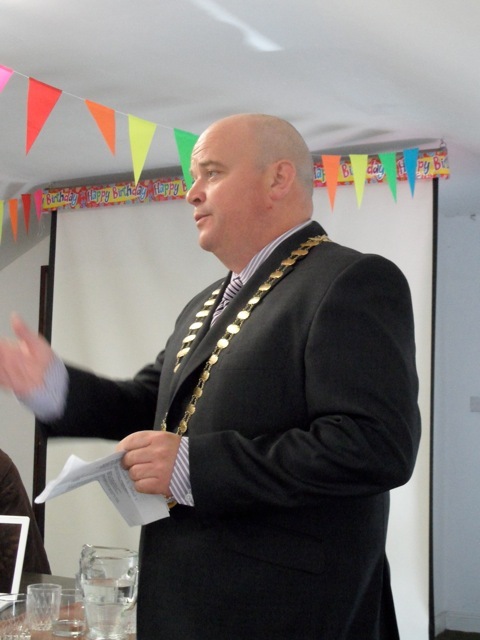 Mayor Mark Wall opened the Jubilee celebrations of the Dutch Foundation for Conservation of Irish Bogs at the Bog of Allen Nature Centre, Co. Kildare. Prof Matthijs Schouten shared his memories of a very successful conservation campaign which saw the Dutch people give a gift of three bogs to the Irish people. His talk was inspirational for all those who heard it. Photo: P. Foss. 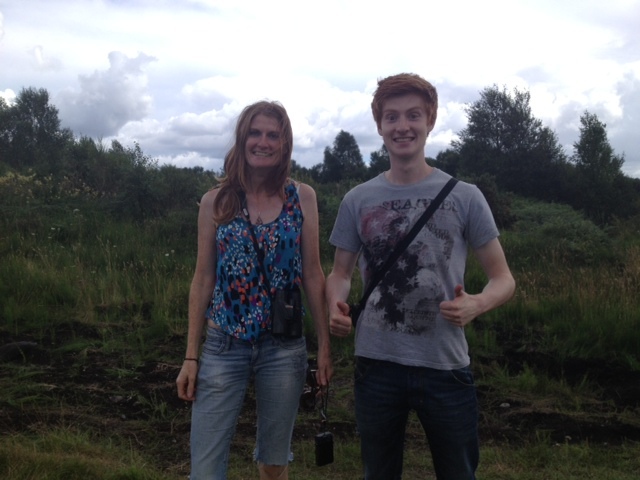 Donna and James Rainey travelled to the Bog of Allen from Co. Derry to join in the celebrations of The Gathering Ireland 2013 and the jubilee of the Dutch Foundation for Conservation of Irish Bogs. Photo: N. Madigan. 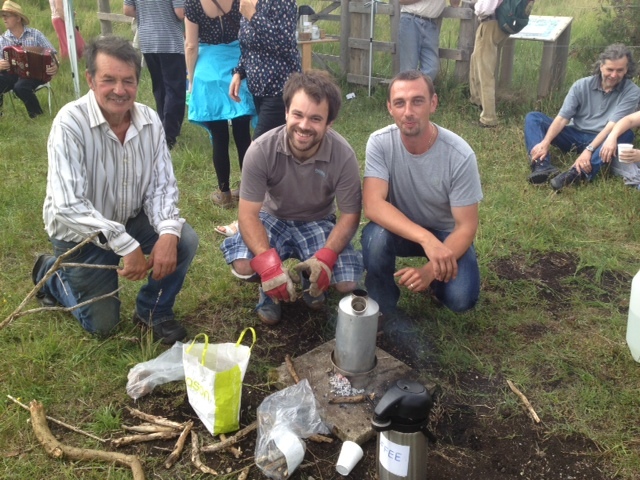 From the left: Martin Lawless, Tadhg O Corcora and Paul Gahan making tea in the bog as part of the Gathering Ireland 2013 celebrations in the Bog of Allen. This entry was posted in News and tagged Attraction, Bogs, Conservation, Events, Family Nature Activities, Festival of Nature, international bog day, IPCC, Ireland, The Gathering. Bookmark the permalink.